Shah Peerally's new book, "The Immigration Lawyer Asylum," seems to have all the ingredients to keep the reader captivated including drama, action, suspense, and law especially how a US immigration court operates. 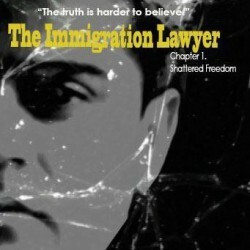 The story revolves around an immigration lawyer, Sarah, who gave up on a lucrative career as a corporate lawyer to become an immigration lawyer. With all good intentions, Sarah take the case of Ahmad, a potential refugee from Iraq. Ahmad is arrested at the San Francisco airport and placed in removal proceedings (deportation). Little did Sarah know what she was expecting, from a broken immigration system, a delayed immigration court, and attacks on her person, Sarah is all that stands between Ahmad certain death of returning back to Iraq.